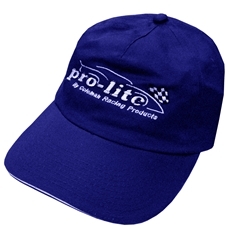 This pro-lite cap is low profile, one size fits all. They feature the pro-lite logo on the front. Blue with white sandwich brim.